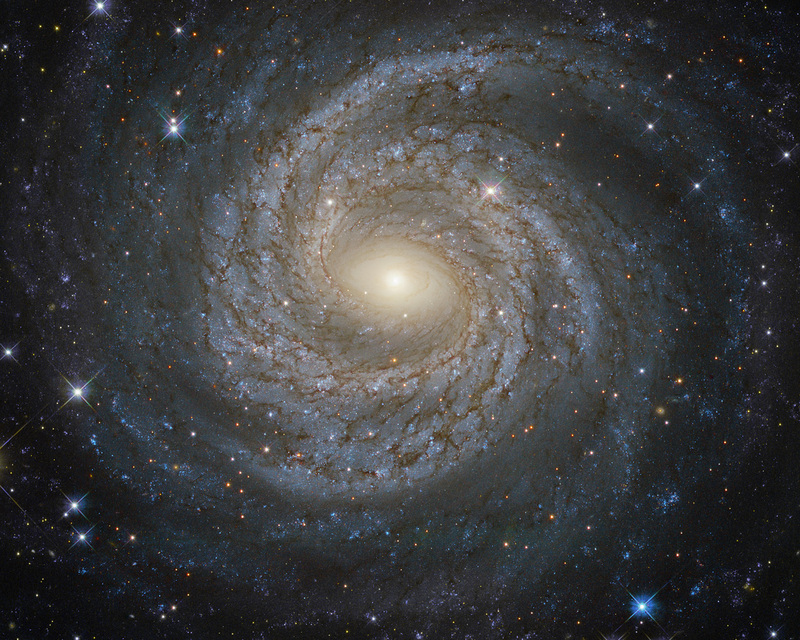 Spiral galaxies together with irregular galaxies make up approximately 60% of the galaxies in the local Universe. 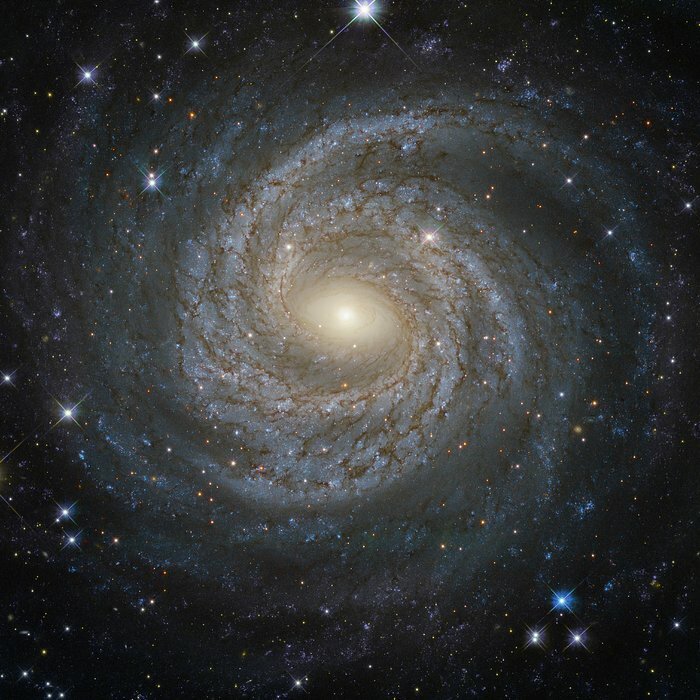 However, despite their prevalence, each spiral galaxy is unique — like snowflakes, no two are alike. This is demonstrated by the striking face-on spiral galaxy NGC 6814, whose luminous nucleus and spectacular sweeping arms, rippled with an intricate pattern of dark dust, are captured in this NASA/ESA Hubble Space Telescope image. 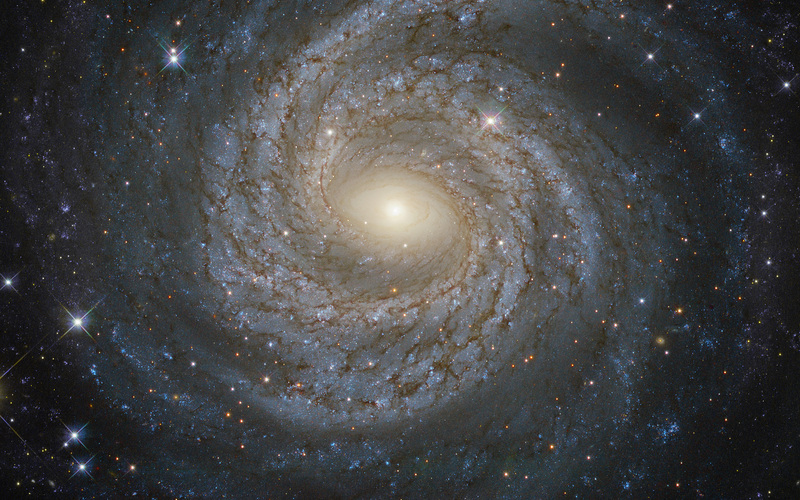 NGC 6814 has an extremely bright nucleus, a telltale sign that the galaxy is a Seyfert galaxy. These galaxies have very active centres that can emit strong bursts of radiation. 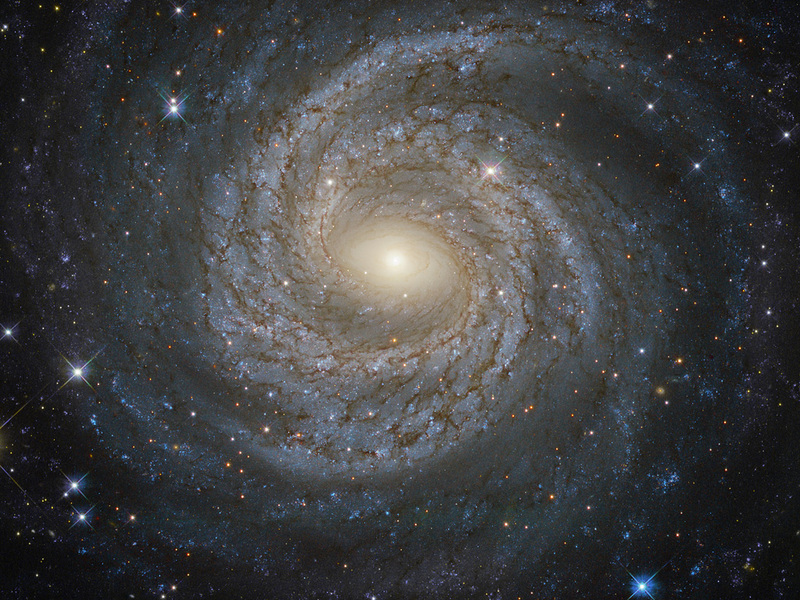 The luminous heart of NGC 6814 is a highly variable source of X-ray radiation, causing scientists to suspect that it hosts a supermassive black hole with a mass about 18 million times that of the Sun. As NGC 6814 is a very active galaxy, many regions of ionised gas are studded along its spiral arms. In these large clouds of gas, a burst of star formation has recently taken place, forging the brilliant blue stars that are visible scattered throughout the galaxy. Position (Dec): -10° 19' 30.75"